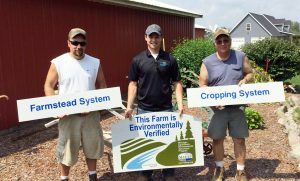 The Michigan Agriculture Environmental Assurance Program (MAEAP) is a voluntary program that recognizes farmers who follow certain farm practices to protect the environment. MAEAP is open to any Michigan farmer. We can help you get started any time you want. For a complete list of MAEAP verified farms and to view their location and contact information, click here.